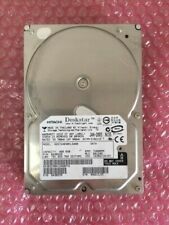 DELL Seagate 400Gb 3.5" 10K SAS Hard Disk Drive ST3400755SS. Seagate Part No ST3400755SS. 16MB Buffer. Dell Part Number 0GY583. This hard drive has been fully tested and professionally data-wiped. We certify this drive error free. Model Number - ST3400755SS. Manufacturer - Seagate. Bare drive, no caddy supplied. What is pictured is generally what you will receive. While we endeavour to use pictures of the actual item, this is not always possible when we have more than one for sale. Dell EqualLogic 400GB SSD Solid State Drive WMWPW LB400M in hot plug caddy. We will resolve the problem directly with you. buy it now 1 unit. This item is brand new never used. Will be posted recorded and signed for. Dell P/N: 8C38W 08C38W. Dell Part Number: 8C38W. SAS Enterprise Class. Solid State Drive (SSD). Multi Level Cell (MLC). 2.5" Form Factor. The drive has been removed from working. We will also be including the wipe and verification certificate. Each drive has been through the following process Each drive is security marked. Removal of our warranty sticker will void your warranty. Joblot Of 6x Seagate Cheetah 400GB SAS server Hard Drives. Joblot of 6x Seagate Cheetah NS 400GB Hard Drives (ST3400755SS) Hard drives have been wiped and tested. Any questions, please feel free to get in touch. Myagen PCs has been involved in the IT industry for over 10yrs and are now branching out to online sales; our sister company has been selling on ebay since 2013 with 800 positive feedback at 100% ... buy with confidence via PayPal . Any questions or queries do not hesitate to get in touch. Local collection Welcome otherwise will be sent via 48hr courier. We aim to dispatch within 24hrs of received payment. Part Number - 7C7FK. Storage Size - 400GB. Interface - SATA. Dell PowerEdge is a trademark of Dell Inc. HP is a trademark of HP Inc. PowerEdge is a trademark of Dell Inc. Manufacturer - Dell. (unless otherwise stated). Part Number: GY583. Part Number GY583. Model: ST3400755SS. Capacity 400GB. Generation SAS. Interface Serial Attached SCSI (SAS). Sub-Category 10K. Hot Swap Tray Included/Attached. Storage Size - 400GB. Interface - SAS. Dell PowerEdge is a trademark of Dell Inc. HP is a trademark of HP Inc. PowerEdge is a trademark of Dell Inc. Manufacturer - Dell. Drive Specifications Part Number -5VHHG. Category DELL HardDrive. External Data Transfer Rate 3072MB/s. Rotational Speed 10KRPM. Part Number MM407/0MM407. Windmill Place, 2-4 Windmill Lane. FRU P/N 39M4575. IBM 400GB 7.2K DS4000 SATA HARD DRIVE. 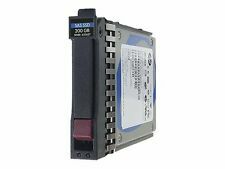 We are able to source hard to find parts for Legacy systems through to the latest new in box parts for the latest generations of servers & storage systems. 9EA066-080 94596-02 F/W: XRCC. NEW WITH 2 YEAR WARRANTY. part numbers. Part Number - MFC6G. Storage Size - 400GB. Interface - SAS. Dell PowerEdge is a trademark of Dell Inc. HP is a trademark of HP Inc. PowerEdge is a trademark of Dell Inc. Manufacturer - Dell. Drive Specifications. DP/N 0GY583. Model ST3400755SS. Capacity 400GB. Interface SAS. Category Dell HardDrive. Rotational Speed 10000RPM. Windmill Place, 2-4 Windmill Lane. Part Number - G1D1K. Storage Size - 400GB. Interface - SAS. Dell PowerEdge is a trademark of Dell Inc. HP is a trademark of HP Inc. PowerEdge is a trademark of Dell Inc. Manufacturer - Dell. Drive Specifications. DELL 400GB 10K SAS 3.5IN HDD. We Accept Only. Ending Soon. New Arrivals. QUICK LINKS. we do not take any responsibilty after this. Why Choose Us! Audio Visual. Model/Part Number: HM400JI. Type:S ATA Hard Drive. Part Number - PX04SMB080 SDFCP92NKA01. Interface - SAS. Manufacturer - Toshiba. Drive Specifications Dell PowerEdge is a trademark of Dell Inc. HP is a trademark of HP Inc. PowerEdge is a trademark of Dell Inc.
SSD SAS 12G 400GB Write-Int. 2.5 H-P EP S26361-F5608-L400. Cheetah NS 400GB 8.89 cm (3.5") SAS. The Seagate Cheetah NS shares the Cheetah 15K.5 design, optimized for storage capacity and power consumption but maintaining better performance than standard 10K enterprise products. 400GB 3.5" 7200rpm Simple-Swap SATA HDD, IBM K16, from Hypertec. 400GB SATA HDD, 8.89 cm (3.5"), 7200RPM. HDD speed 7200 RPM. HDD size 3.5". Interface Serial ATA II. HDD transfer rate 3000 Mbit/s. HDD capacity 400 GB. HGST Part Number: HUSMM8040ASS200. HGST 400GB SSD Hard Drive. Multi Level Cell (MLC). SAS Interface. Enterprise Class. All images of our products are for illustration purposes only. Dell Servers HP Servers Hard Drives Powervault Arrays Equallogic Storage Networking Tape Drives. DP/N 0GY583. Model ST3400755SS. Interface SAS. Category Dell HardDrive. Rotational Speed 10000RPM. Windmill Place, 2-4 Windmill Lane. Drive Size Server Hard Disk Drive! No collections allowed. Pulled from new or factory refurbished machines. Product Type . Dell MM407 0MM407 400GB 15K SAS 3.5" Hard Disk Drive in Caddy. Dell P/N MM407 0MM407. Model ST3400755SS. Drive Capacity 400GB. Windmill Place, 2-4 Windmill Lane. Southall, UB2 4NJ. Add to Favorites. Technical Introduction & Specifications.